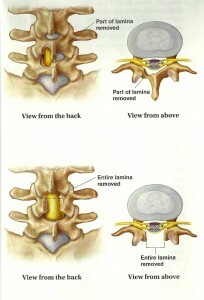 Note: The following article is based on my personal experience with lumber spinal surgery. I am not a doctor or medical professional and cannot dispense medical advice. Please consult your physician if you are experiencing lower back pain to discuss treatment and/or pain management. I had a microdiscectomy. Actually, I had a laminotomy (the removal of a portion the lamina – the bone at the back of the spinal canal), a laminectomy (the removal of the entire lamina) and a microdiskectomy (the removal of a portion of a damaged disk. A microdiscectomy is less invasive than a classic discectomy. The surgeon uses a microscope to perform the procedure). Prior to the surgery date, I searched the Internet for articles and visited medical discussion boards for “real-life” experiences with this type of procedure. To me, any type surgery is serious – especially if anesthesia is involved – and I was nervous. Most of the articles provided clinical statistics filled with optimistic recovery and success rates. Most of the posts on the discussion boards, however, gave a very negative review of the procedure. I was feeling less and less sure of my decision to have lumbar surgery when I came across a post that put things in perspective. The poster noted that people who had successful surgery were less likely to post comments than those who had a negative experience. Why? They were out doing other things because they were now pain-free. Very good point. I decided then that if my surgery were successful, I would post an article to this blog that offered an alternative view of the procedure. After eight weeks, I feel confident enough to declare my surgery a success. 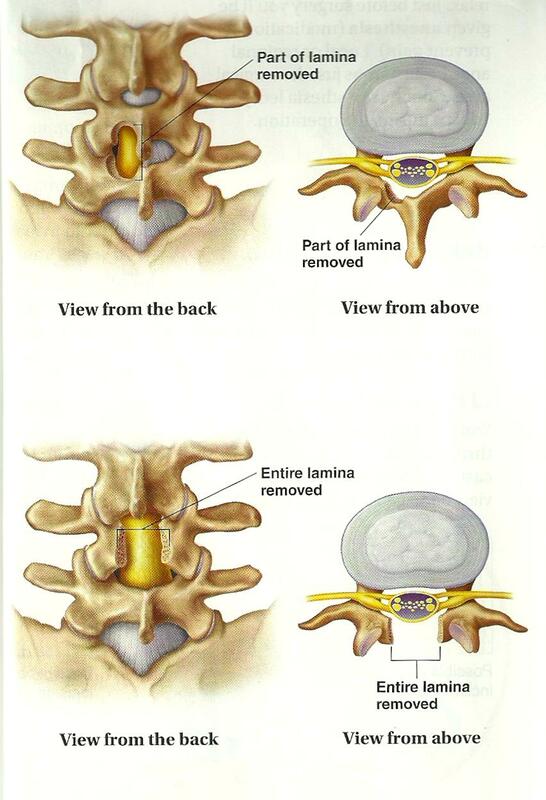 Here’s the Readers Digest version of why I elected to have the microdiscectomy: I had a herniated disc that pushed against nerve roots in my spine and caused foot drop. I could not move the toes on my left foot. The top of my foot, ankle and areas on my calf were completely numb. I had to walk with the assistance of a cane. Not good. The surgery was to reverse the nerve damage. The surgery itself wasn’t nearly as bad as I imagined it would be. I am grateful for the visits I received from the OR nurse, EMG specialist, two anesthesiologists and my orthopedic surgeon. I was calmed as each person described his or her function in OR. The procedure began at 7 am. I was given a sedative in my IV as I was being wheeled to the OR. There, the OR nurse placed a mask over my nose and mouth and instructed me to breathe deeply. I was out after the second deep breath. A breathing tube was inserted and I was placed on my stomach after the anesthesia had taken affect. The procedure lasted about an hour (or so I was told), but I didn’t awaken from the anesthesia until around 10 am. I was up and walking – with assistance from a staff physical therapist- about five hours after the surgery. The PT showed me the proper way to walk and climb stairs. I received morphine for pain later that evening which made me extremely nauseated so I refused future injections and relied on prescription medication to manage the pain. My hospital stay was overnight; I was home by noon the next day. I needed someone with me for a few days following the surgery. Thankfully, my mom made the sacrifice. My recovery so far has been excellent. The incision is healing nicely. My surgeon recommended walking as the primary form of exercise. I walked around my neighborhood, beginning with walking halfway down my street and venturing further each day. I was off the prescription medication after a week. I’ve had two visits with my surgeon since the surgery with another one scheduled for early next week. The surgery did not completely reverse the nerve damage; I was informed it could take up to a year for complete reversal. However, the mobility and sensation in my foot have improved dramatically. I do not need the cane anymore. I can move my toes and the numbness is almost gone. I would say my foot is 90% back to normal. Bending and lifting are restricted. Sitting for long periods was difficult at first, but became more tolerable as time progressed. My surgeon advised me to not sit for hours on end, so I make sure to stand up and walk around frequently at home and at work. Speaking of work, I was out of the office on medical leave for about two and half weeks. Again, this is my personal experience. Overall, I was in good health before the surgery and still am. I have not experienced any of the excruciating pain I had prior to surgery. No back spasms or pain down my leg. I am back to a normal routine (with the exception of bending or lifting). Having a microdiscectomy is a decision I have not yet regretted. May the Lord continue to bless and keep you.